Taking lead in launching a B2B e-auction, Reverse Logistics Company is now competing with ecommerce giants such as Amazon and Alibaba. 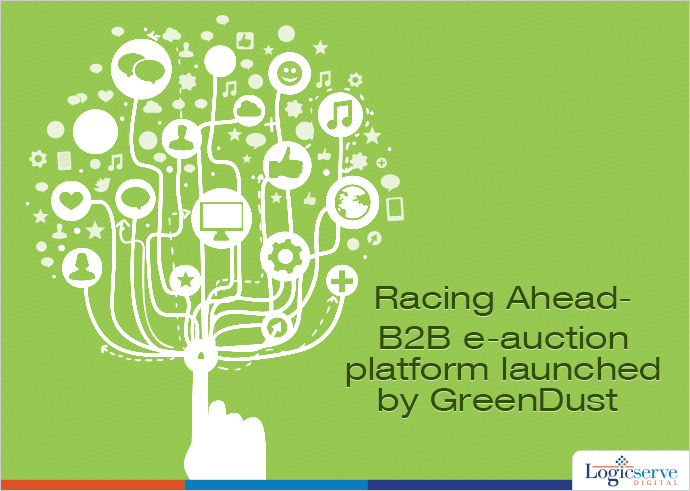 Reverse Logistics Company is synonymous with its online identity, Green Dust.com which deals in refurbished goods at a retail level. Taking cue from the market trends which reveal a massive impetus in wholesale business transactions, a wholesale auction platform connecting buyers and sellers could be very much the need of the hour. Over and above bulk deals, the e-auction site could extend its kitty of services to include inspection of goods, co-ordination over payments, storage, transportation of goods and even issuing warranty certificate against service charges. As highlighted earlier in the news, both Amazon and Aliababa have evinced their interest in offering an e-connect initiative amongst the buyers and sellers. India is the second country in which Amazon has expressed its intention of setting up a wholesale exclusive portal whilst Alibaba want to further foray into the India’s retail market space. Not too sooner but better than late…. this seems to be strategy of most ecommerce players foraying into India. Undoubtedly, they are relying heavily on Indian customers, both wholesale and retail to justify their investment and deliver beyond expectations. How soon will India adapt to this next phase of eCommerce is the gamble which most eCommerce giants are will take upon. Weekend Digital Media Round-up: Double delight for digital India, DoubleClick Bid Manager, Snapchat’s new snap store and more..